As always, the planning of the LAMM courses is done to meet a range of criteria, only one of which is the pleasure(!) and enjoyment(!) of the competitors. 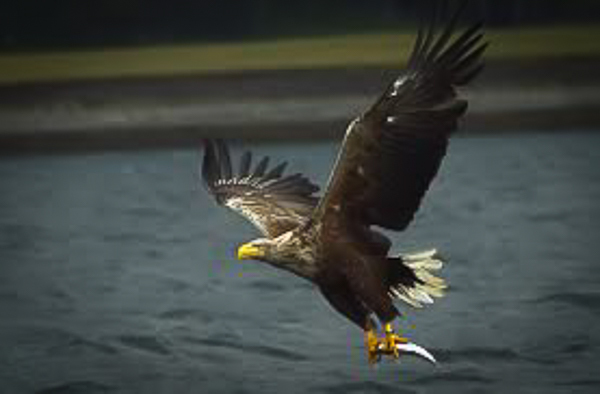 As well as having to think about safety, permissions of landowners, and the logistical issues of getting access to a suitably remote overnight camp with all of the necessary paraphernalia to run the event, in this case consideration also had to be given to large numbers of nesting eagles in the area, of both the sea and golden variety. Prior to the event, planner Angela Mudge and controller Andy Spencely were given normally secret information about the locations of around 20 pairs of nesting birds so they could plan the courses accordingly. However, there are even more pairs than this in the area and there is a good chance that most LAMMers will see eagles at some point during their weekend. 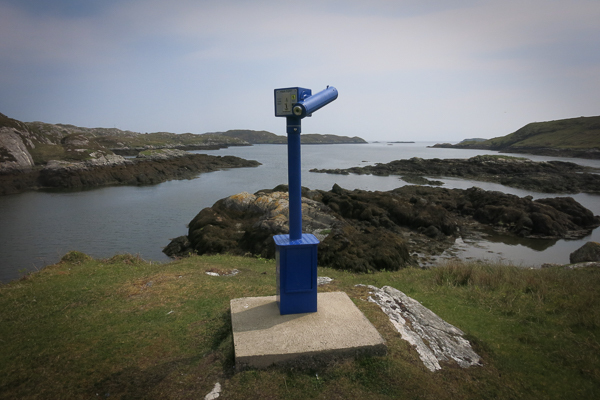 In fact Andy said that he had seen eagles almost everywhere in North Harris, except in the vicinity of the official eagle observatory. 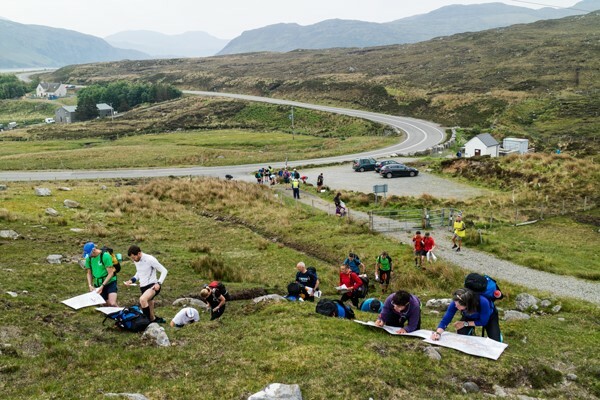 Now that competitors have their maps and know their day one courses, they will have seen that the overnight camp is about as far away from the event centre as it has ever been on a beautiful beach at the bottom of Loch Crabhadail almost at the far west of the island, which may well leave C and D classes in particular wondering how they are going to get back in reasonable time on Saturday. Alas we can't reveal the answer just yet, but this was another challenge that the planners had to overcome in order to get everyone to such a special overnight location without making the return leg a straight line. Getting everyone to the mid-camp of course is less of a problem because competitors can be bussed to a variety of start locations for the different courses, which as well as allowing for different length courses also has the effect of spreading competitors out over a wider area and minimising any environmental impact they might have. 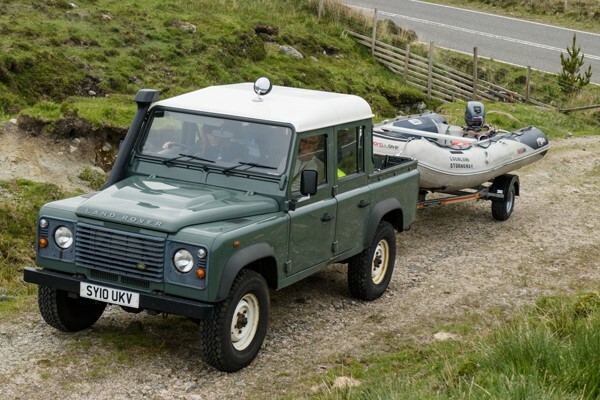 As mentioned yesterday there are almost 380 teams of two taking part, which breaks down into 19 elite teams, 30 on the A class, 65 on the B class, 82 on the C class, 70 on the D class and 104 in the score class which has no set route but which allows competitors to choose which checkpoints to go to in order to earn varied amounts of points for visiting each one. 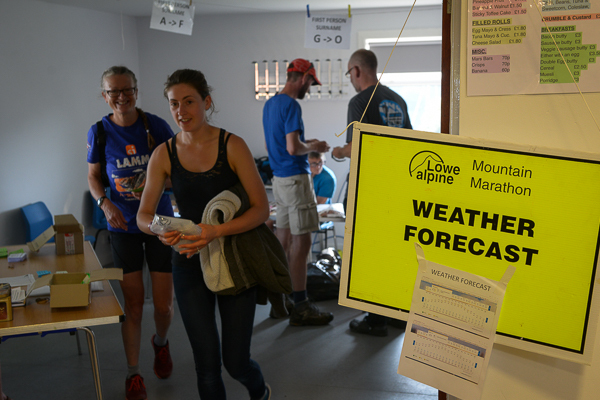 Happily the recent spell of extremely good weather is set to continue over the weekend and if anything, it may prove to be a little too hot for optimal hill running performances. 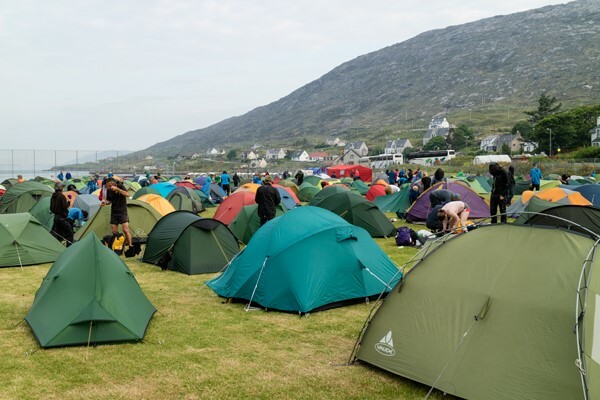 Calum Whitford of Arrochar Mountain Rescue, who are once again in attendance at the event, said that his main concern this time is of heat stroke and dehydration, so hopefully competitors will take care to keep drinking even if that means carrying more water than they might usually. 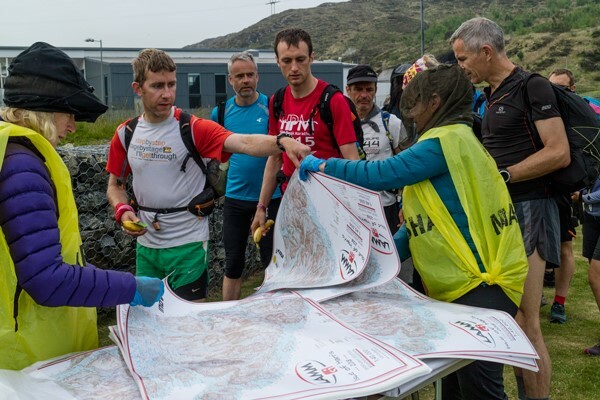 Thankfully, once competitors return to Tarbert on Saturday there is plenty of Skye Ale on hand to rehydrate with and as many people will be staying over, the event has laid on a bigger supply than usual with all of the proceeds going to Mountain Rescue. Skye Ales, which is the nearest micro-brewery to the event centre, despite being on a different island has supplied 18 barrels of beer and even hosted a training session for LAMM Marshalls so that they could treat the beer with the respect it deserved - Martin Stone was quite thrilled at having been taught how to "tap a cask" which seems like one of those rights of passage that all "real men" should experience alongside playing a game of Texas Hold'em and being able to service a carburettor. Thanks are also due to D R MacLeod, the main local haulier, who brought the beer to the island at no cost, in support of the event. As always on the LAMM, but even more so than usual given the location, various folk have had issues with their travel arrangements. Jen Longbottom who many will recognise as the former grand fromage at the OMM, but whom is now a resident of Stornaway has been helping out the LAMM this year by coordinating flights and bus transfers there. As part of the entry requirements Martin had asked LAMMers to indicate their arrival times at Stornaway airport, one of whom said he was arriving at 5 pm on Thursday. However, Jen was slightly baffled by this as she found out there was no scheduled flight at this time. Unable to make contact with the LAMMer in question, she nevertheless prepared to meet them and in due course at 5 pm someone appeared. Apparently this LAMMer had flown his own aircraft from Devon! Next time we have to coordinate the arrival of aircraft we must remember to add a box to indicate whether the arrival time being given is for a commercial or private flight. LAMM might be too hot - shocker! To save the Elite, A and Score course competitors having to swim across Loch Langabhat Martin has laid on transport.